We publish major software releases for our open source BMS platform every 3 to 6 months and interim bug fixes when solved in the News section. By subscribing to the foxBMS Newsletter, you will be informed when the new releases are available. Further, the foxBMS Technical Specifications, the foxBMS Roadmap and the foxBMS Documentation are also updated regularly. Alternatively, you can contact us by using the online form in case of questions or suggestions. foxBMS is suitable and adaptable to current and future rechargeable energy storage systems based on lithium-ion batteries (LIB). Further, it was also developed to control other kind of electrochemical rechargeable accumulator cells (e.g., other chemistries like lithium-sulfur, sodium-ion or even all-solid-state batteries), lithium-ion capacitors (LIC), electric double-layer capacitors (EDLC or supercapacitors), or even vanadium redox-flow batteries (RFB) and fuel cells (FC). foxBMS is a modular open source BMS development platform, hence it targets the automotive, aviation, space, (sub)marine, railway, industrial, consumer, and renewable energy domains. We are constantly working on the development of the hardware and software building blocks, thus providing regular updates. To support you in the development of commercial hardware and software adaptations to specific application requirements, please contact us. 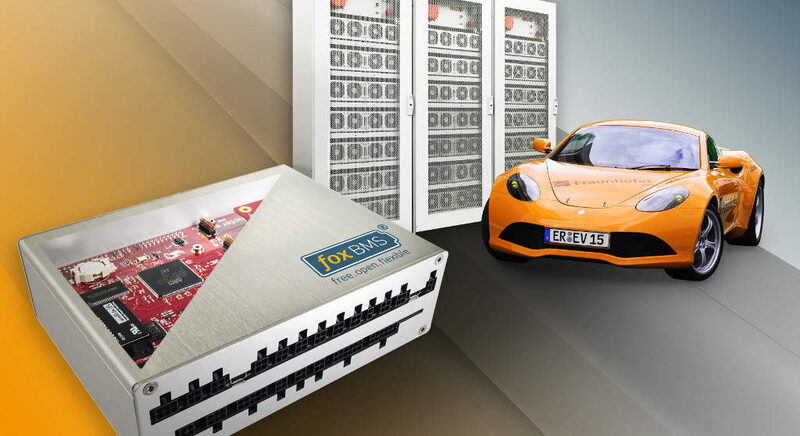 The architecture of foxBMS is the result of more than 15 years of development in innovative hardware and software solutions for rechargeable battery systems, redox-flow battery systems, and fuel-cell systems at Fraunhofer IISB in Erlangen (Germany). Consequently, we use the hardware and software building blocks as battery management system at Fraunhofer IISB in all of our research and development projects (Technical Specifications). Further, our self-developed 100kWh stationary lithium-ion battery system to store electric energy generated by photovoltaic panels and our TÜV road homologated electric vehicle are two examples of such systems using our open source BMS. As a result, we provide a strong experience in designing and developing innovative solutions for advanced battery systems in the domains described hereafter. The architecture of foxBMS is the result of more than 15 years of innovation in hardware and software developments. At Fraunhofer IISB in Erlangen (Germany), we develop high performance lithium-ion battery systems. 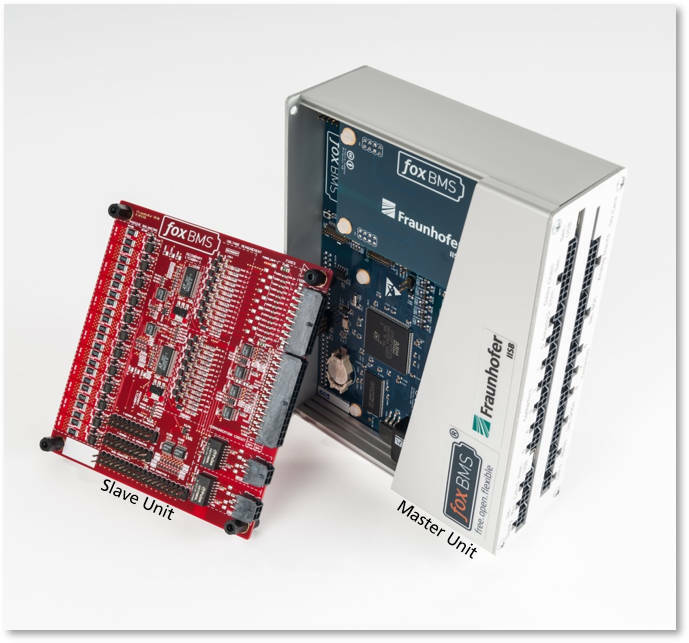 Consequently, the foxBMS hardware and software building blocks provide unique open source BMS functions for your specific product developments (Technical Specifications). The hardware of foxBMS provides redundancy to allow a safe software development process. It enables the management of high-performance prototypes of complex lithium-ion battery systems of any size (i.e., from one cell up to several hundreds of cells). 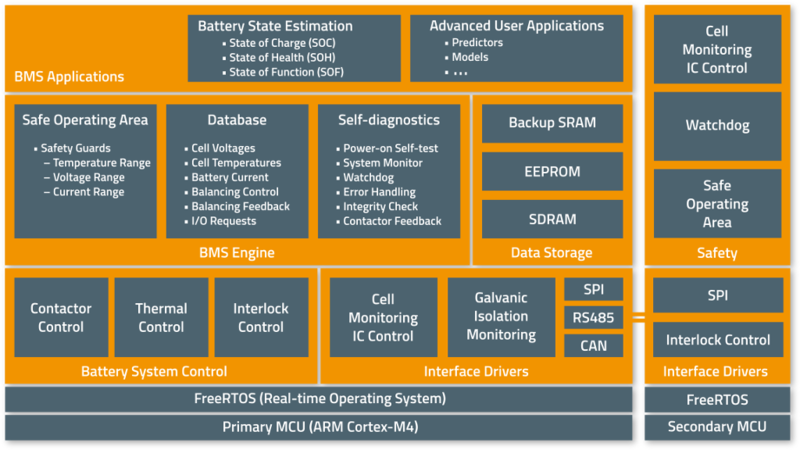 As a result, the redundant hardware architecture of foxBMS enables the development of battery systems requiring a high level of safety, reliability and availability. The hardware of our open source BMS platform is licensed under the Creative Commons Attribution 4.0 International (CC BY 4.0) license. It contains only components and devices not requiring confidential agreements to get their datasheets. 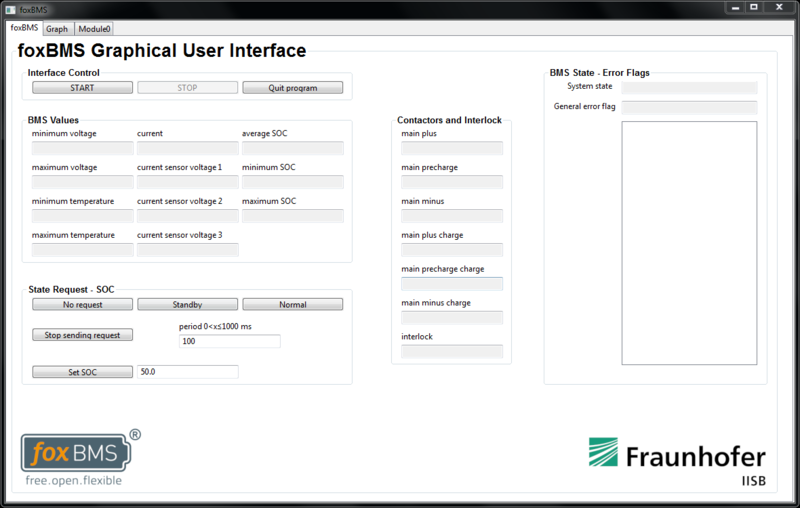 The software implemented in foxBMS uses only specifically developed open source and free of charge software components and modules, or free of charge third-party software. The entire source code is provided online for free on GitHub. It includes Eclipse and GNU GCC configuration files, thus enabling immediate use on Windows, Mac, and Linux operating systems. 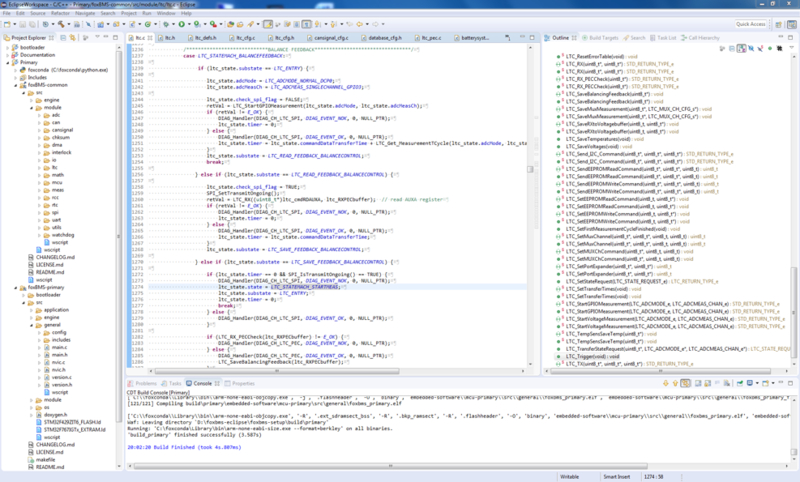 It also provides a graphical user interface (GUI) entirely programmed in Python. Furthermore, the software of our open source BMS platform is licensed under the BSD 3-Clause license. All foxBMS parts come without restrictions, including free and open source use, as well as closed source commercial use. Hardware: all the schematics, layouts and bill of materials (BOM) are available online on GitHub in Altium Designer file format. Software: all the source files in embedded C and Python are available online on GitHub. They come with a preconfigured Eclipse project file. Documentation: the Documentation is available online. Do not hesitate to contact us by using the online form. Please do not send us commercial offers or other kind of spams. Where can we buy the foxBMS development kit? To order foxBMS development kits, simply contact us by providing your contact data including your company name and address. We are currently working on a solution to offer the foxBMS hardware by ordering directly online. We ask you for your patience and understanding, since certification processes are costly and take time. Are you looking for partners do develop, test, manufacture or distribute foxBMS? We are currently analyzing these questions and are open to concrete propositions. Please do not send us offers for products or web design services. Which licenses apply to foxBMS? The foxBMS software is licensed under the BSD 3-Clause license. The hardware and the documentation are licensed under the Creative Commons Attribution 4.0 International (CC BY 4.0) license. The complete and detailed Documentation can be found online. Is it further possible to participate in the beta-test of foxBMS? The beta-test period with 15 international partners in 7 countries worldwide ended in December 2016. Access to the open source BMS hardware and software files is now open to everybody on GitHub.